Since January, Community Rights San Juan Islands has focused on our goal to educate ourselves and others about the Salish Sea Bill of Rights. We are spending time researching the language and experience of other Community Rights and Rights of Nature efforts, as well as Legal Personhood for ecosystems efforts, and Indigenous law and treaties designed to protect nature. We are planning a retreat at the end of March where we’ll be bringing together everything we’ve learned these past few weeks and will be working hard on a new draft of the Salish Sea Bill of Rights. We’re expanding our connections within the community rights network, and will be learning from the experiences of rights of nature advocates in Oregon and Ohio as we move forward, as well as sharing information with municipalities here in WA state who are interested in rights of nature. And we continue our friendship and communication with legal scholars in BC, Canada who are working on rights of nature, too. We meet bi-weekly, so if you’re interested in participating please join us in person or by phone or via online meeting. If you’re coming from off-island, we’ll be happy to pick you up at the ferry. Contact us so we can arrange call-in or pick-up in advance. In early December, our group met with groups and individuals on Lopez, Orcas, and San Juan islands to discuss bringing a Rights of the Salish Sea (RoSS) initiative forward in 2019. Thank you to all who participated in those meetings! We really appreciate your support and feedback. The idea of rights of nature resonated with most of the people we interacted with and support for broader protections for the Salish Sea was nearly universal. Our group remains committed to pursuing the Rights of the Salish Sea but we have decided that we will aim for the 2020 ballot. We circulated the RoSS draft initiative among some former council members and people with experience in county and marine policy. Again, there is strong support for what we’re doing but questions arose about the specifics of the draft. We recognize that the processes for implementation and enforcement of rights of nature laws are a work in progress and that we need more time to create an initiative that reflects the concerns and inclinations of our county. We also met with students with the University of Victoria’s new Joint Common Law and Indigenous Law program. The group is well engaged in indigenous communities and are hoping to build on our meeting toward cross border efforts. Additionally, we realized the need to become familiar with the varied meanings and implications of ‘rights,’ specifically, in this case, in indigenous communities. Again, the message was to slow down, something that is hard to do, given the urgent need to protect our region, our waters. We are inspired by the turn-out and by the questions asked at the December events, and we look forward to building on that in whatever way we can. Our core group on Lopez continues to meet regularly. We are looking for people on San Juan Island and on Orcas to form core groups as well. If you interested in helping coordinate a group on your island, or participating in meetings on Lopez, please let us know. We can arrange pick up/drop off at ferries and try to accommodate meeting timings for the ferry whenever possible. And if you want to participate by phone or Skype we can arrange that too. We have identified several areas for further research and education, so if you’d like to get more deeply involved, please contact us. And if you have ideas for how you want to help, please let us know! Education: Further educate ourselves about other Salish Sea groups, indigenous law, and rights of nature efforts in the region and around the world. Speakers: Bring speakers to the county to inspire and educate us, and help spread the word about rights of nature. Outreach: Establish core groups on Orcas and San Juan Island that meet regularly and have committed leaders who will work with us to get the word out about rights of nature for the Salish Sea. Fundraising: Continue fundraising to support the group’s efforts to cover basic expenses (web site, outreach, travel, speakers, etc). Interest in strengthening cross-border efforts on behalf of the Salish Sea is manifesting in the development of a conference in late May on Pender Island, British Columbia.The purpose of this conference is to gather First Nations, municipalities and other interested parties together to create a legal framework for the protection of the Salish Sea based in Indigenous legal orders and the rights of nature. Here’s to a productive year working towards rights for the Salish Sea in 2019. We hope to see you at one of our events soon and please get in touch if you have any questions, comments, or want to volunteer to help more directly. 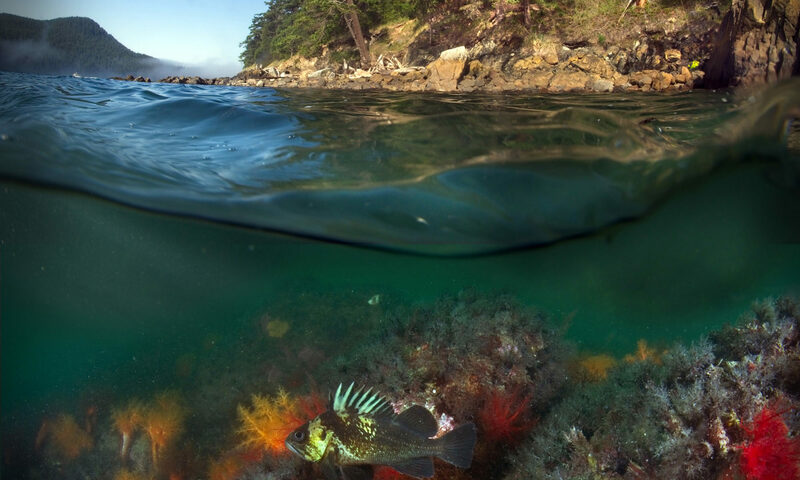 Community Rights San Juan Islands is a WA non-profit working on a Rights of the Salish Sea initiative for 2019. Community Rights San Juan Islands is a county-wide effort to initiate legal rights of the Salish Sea to protect our land and waters.